My grandmother on my mother’s side was one of a kind and everyone in the family could tell stories about her. She was born to German immigrant parents in Pierz, Minnesota but if you heard her speak you would swear she was fresh off the boat from Germany. She and Grandpa spoke mainly German to each other in regular conversation and my mother had to remind them to speak English when talking to the grandchildren. We had by osmosis picked up enough words over the years to know when to pass the bread at the table and we knew all of the words that had to do with us being in trouble for bad behavior. She was short and stout and I swear she was born wearing an apron. 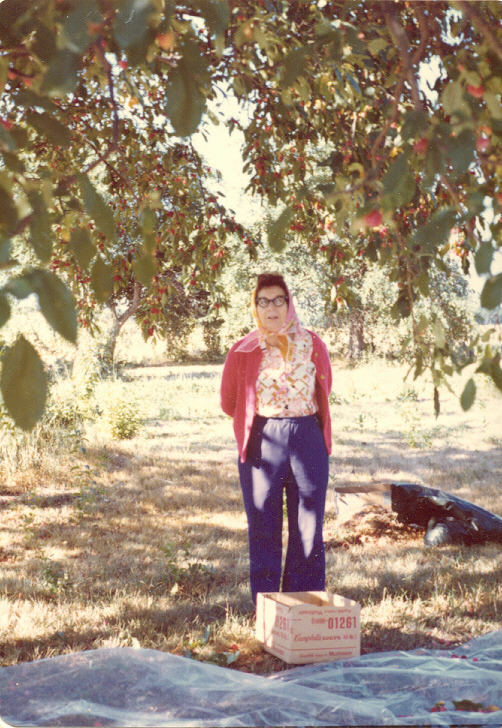 Grandma embraced her role as a farm wife and loved her large garden and orchard. 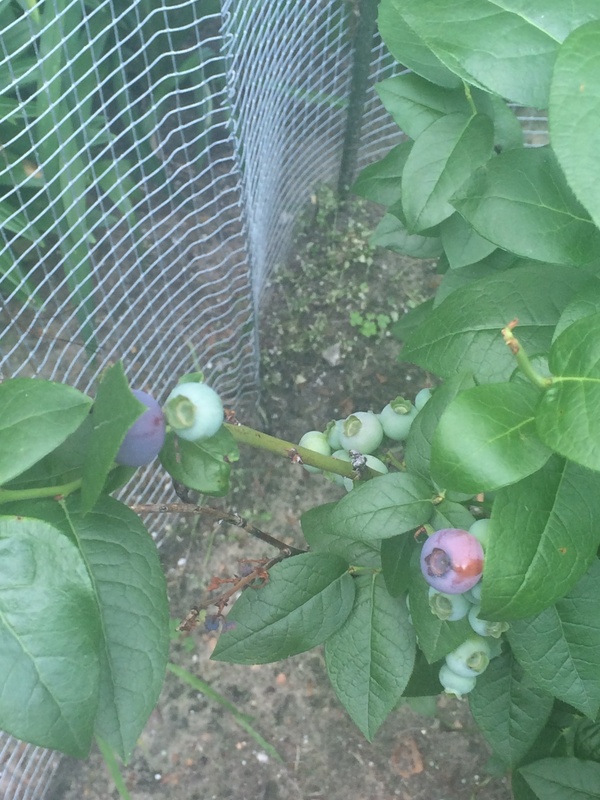 That is what she called it and it was fruitful despite the poor soil in the area and the short growing season and cold winters in Minnesota. She had a number of varieties of apples, raspberries, blueberry bushes and a pear tree. I never actually saw pears on it, bet she claimed it grew pears. Her ability to grow, raise and cook everything to not only feed her family of eight over the years, but to utilize everything without waste, in hindsight, is nothing less than astonishing. She had chickens for eggs and meat, goats for milk, cattle, pigs and geese. It was a way of life that is mostly history as local farmers have become more specialized instead of having the variety that they had back then. Grandma never said it, but you knew she loved her farm and she loved her way of life. She greeted us with a big hug and always had homemade pie, which she made effortlessly without any recipe, and chiffon cake. We cousins, and there were a lot of us all around the same age, have fond memories of running loose around her farm in the warm sunshine, playing and sometimes getting into trouble, while our mothers helped with the harvest or canning, or if we were just there to celebrate a holiday or visit. It was a big close knit family and we all lived within a few miles and not a week went by without at least one visit. She was never trying to be humorous, but my grandma was one of the funniest people we knew. Grandma could sit in the kitchen, snapping beans talking to our mothers about normal things and it was like watching stand up comedy, except she was serious. I don’t know if it was the enthusiasm with which she could tell a story, or her ability to take normal events and spin them into pure entertainment for the entire crowd. She was genius because it made the mundane work of taking the stars off of a table full of strawberries or shelling a mountain of peas actually fun. I remember one particular fall day when we all came over to help with the harvest of her garden and orchard. It was the seventies and she and grandpa were getting older and they needed more help. Grandma’s three grown daughters, our mothers, were helping with the snapping and canning of green beans. Her kitchen was small in her farm house but that did not prevent this crowd from getting the work done. Our mothers did the jar filing and the canning, and we older girl cousins, about eight of us, sat around the old farm table and did the snapping of the beans. The guys were all out helping grandpa and doing the actual picking in the garden. We sat around the table as they brought in bushel after bushel of green beans to add to our job. My grandma was in charge in her kitchen, or at least she thought so, and our parents were very respectful to let her think she was in charge even as she got older and forgetful. As we sat around the table, long before any iPods or cell phones, we carried on conversations about everything and yet nothing. My grandma many times was the center of any conversation. If at any time the conversation lagged someone would get it kick-started again. At one point my mother asked a simple but loaded question. In hindsight asking simple and direct questions to my grandma was like turning a switch that got her going on a humorous story. My mother was genius. My mom asked what she and grandpa had done the past Saturday night and we could tell by her wind up that it was going to be a dosie. She, in her heavy German accent started with” Auch…” which if you are not German sounds more like someone clearing their throat than an actual word if it is done right. You could see her whole body get ready for the wind up and off she went… It started with…“While we were watching the Twins game all of a sudden a big bat started flying around our heads.” Clearly one of the biggest bats according to her story that she had ever seen, and she described it in great detail. She spun her tail giving every detail of how it flew from corner to corner in the room, swooping and diving like it had been hit by the cattle prod. Her voice became louder and louder and more shrill as she continued. Like any good German she was telling the story as much with her hands as her words. As the story got better she was restricted sitting behind the table with the beans in her lap. She stopped what she was doing to stand and swing her arms re-enacting how she and grandpa were ducking and how grandpa was swinging the broom at the bat. But the best part of the story was that she was insistent that this was no ordinary bat flying around the house. She was insistent that this particular bat had the ugliest Shniss (evidently a German word for face or at least she thought so) that she or anyone had ever seen. It was not only the ugliest schniss she and grandpa had ever seen, but she described it as almost demonic, as if it was sneering at them with its contorted face, as if teasing and taunting them. The way she described it, it sounded as if this particular bat had an evil plan as it flew around swooping at their heads. It was clearly no ordinary bat as you listened to her story. They lived in an old two story stucco farm house that had an attic and some interesting dark and creepy crawl spaces upstairs that we had used for hide and seek many times over the years. It was not at all surprising to hear there was a bat in this old house, but to have one that was so evil and had such an ugly face flying around their heads, was a story that had us laughing so hard that we lost track of time and made us not mind our work. The more we laughed, the bigger the story got. Grandma’s story was getting so big that she now had to move around the areas of the kitchen and her small frame gesturing with her whole body as she was pointing at the upstairs and the bedroom as she was recreated the ugly faced, evil bat’s rampage around the house. As my Mom and her sisters and we cousins listened to grandma’s story, the volume to the collective laughter continued to grow until the room was in an uproar. But as we laughed at her story and the seriousness with which she insisted that the Bat had such an ugly schniss, she seemed to be even more driven to make us believe that this was no ordinary bat and she worked even harder to convince us of how evil this bat really was. Her story wound up with grandpa catching it in a fishing dip net and almost getting bitten taking it outside where it, in its clearly evil ways, escaped the net and flew towards the barn. By the time this was over, everyone was convinced that she believed this bat was the devil itself, she and grandpa had escaped its evil plot and more importantly we were convinced that we had the best and funniest grandma in the world. Our big family taught us an appreciation for hard work and to find satisfaction in supporting ourselves. Grandma taught us simplicity and the importance of family and that we can find humor in everyday activities. She taught us that nothing tastes better than food we have grown with our own hands and even now so many years later, and being so far removed from the farm, I think of grandma Barbara when I trim the blueberry bush in my flower bed and grow fresh herbs on my windowsill in an attempt to hold on to my past. It makes me smile and brings back so many floods of memories when I bake those blueberry muffins from scratch with my home grown berries. It is amazing how a simple woman in her own corner of the earth had created her own paradise in her orchard and how she could have such a profound affect on so many in her family. We love you Grandma. I enjoyed the story of your grandma Barbara.